There are many organisations with offices and staff working in different locations. Many of these organisations have only one library that serves all of the organisation’s employees no matter where they are located. While many of the library’s resources are in digital format and easily accessed remotely, many are not. Some employees in different locations may need specific types of material. This could include maps, technical drawings, legal cases or medical records, many of which may not be digital or are yet to be digitised. As we all know, the more difficult it is, or the more effort that is required, to access library resources, the less likely they are to be used to their fullest potential if used at all. Setting up strategically located satellite collections can overcome access difficulties. It also provides the library’s staff with the opportunity to expand the usage of their resources and services. How’s that for a win/win! The status of resources located outside of the library. Whether the collection material meets the requirements of users in those locations. That there is awareness of those collections. Note that this can be done via the library’s Home page. Our customers with satellite collections use Liberty Link as the tool to view the items’ status and that the material is meeting the needs of those that access it. Identify the current status of items in any satellite collection. Track satellite collections to verify they meet the needs of the staff. Complete a stocktake using their mobile device. 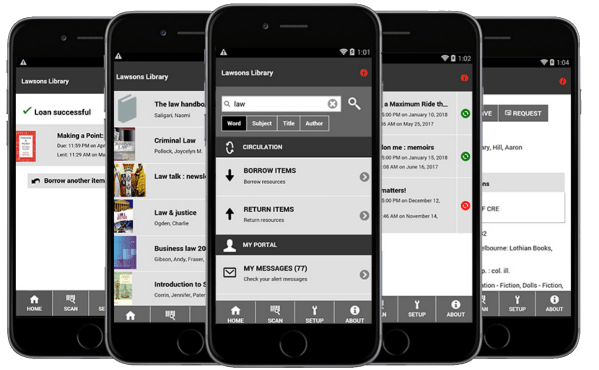 Many of our Liberty customers encourage their library users to download the Liberty Link app to their mobile devices. It gives users access to the library whenever and from wherever they are. Giving satellite collection users (or any library users) self-help permission means library staff spend less time managing circulation duties. This, in turn, frees up time to implement and deliver value-added service to the organisation’s staff! For our customers, Liberty Link is the tool that helps to manage their satellite collections. Want more information on Liberty Link? Speak to a Support Representative calling our toll-free number – 1800 777 037, or send an email to supportic@softlinkint.com.